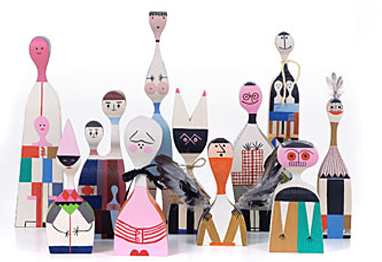 These quirky dolls are designed by Alexander Girard and often appear in many Vitra photographs. They now feature on our website in our new gift range and furniture for the home section. There are 16 dolls to choose from each are hand painted and made out of wood.